Susannah Arvella Pace was born July 15, 1857 in Page County, Iowa, and died May 02, 1918 in New Market, Taylor County, Iowa. She married Norval Reeves. He was born June 1852 in Pennsylvania. Walter Reeves, born Abt. 1878. 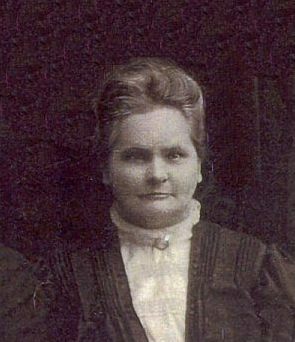 Arvella (Kate) Reeves, born November 29, 1875 in Page County, Iowa; died March 22, 1941 in Taylor County, Iowa. She married (1) Elroy Clifton Mason; born December 14, 1862 in Taylor County, Iowa; died September 15, 1897 in Page County, Iowa. She married (2) S. A. D. Hartman 1905. 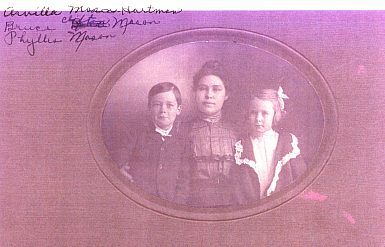 Susannah Pace Reeves and family, about 1895. Front row, Norval Reeves and Susannah. 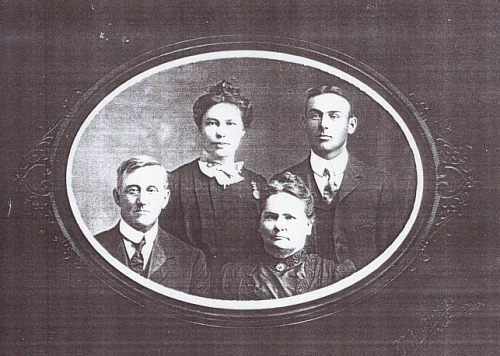 Back row, their children Arvella and Walter.